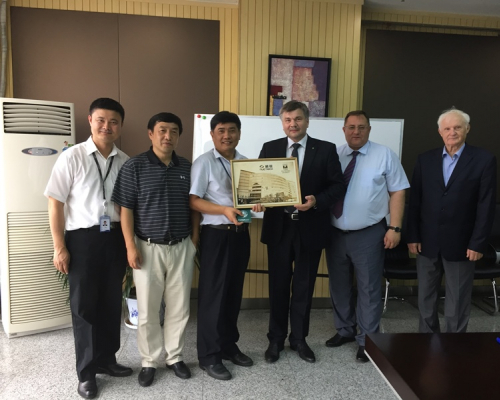 A delegation of the TPU Institute of Non-Destructive Testing visited the Department of Engineering Physics, Tsinghua University (China) that ranks 25th among the world’s leading universities and the first among the universities in the Peoples’ Republic of China in the QS World University Rankings. TPU delegation was shown to Accelerator Laboratory and Modern Physics Electronics Laboratory. Besides, TPU representatives visited production sites of two university’s spin-offs: Global Safety Technology and Nuctech Company Limited (Nuctech). ‘Researchers at the Department of Engineering Physics and specialists at the spin-off companies are the world’s leading experts in the field of non-destructive testing, including the creation of customs and inspection systems. says Valeriy Borikov, Director of the Institute of Non-Destructive Testing. The parties signed an agreement on cooperation in science and education. This will include joint scientific and engineering projects, academic exchange programs, internships for staff members and scientists, joint scientific supervision of graduation and research works.